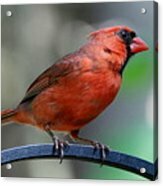 Cardinal Profile by David Rosenthal - 12.000" x 7.000"
Cardinal Profile framed print by David Rosenthal. Bring your print to life with hundreds of different frame and mat combinations. Our framed prints are assembled, packaged, and shipped by our expert framing staff and delivered "ready to hang" with pre-attached hanging wire, mounting hooks, and nails. 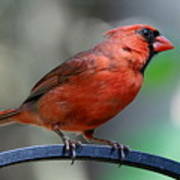 There are no comments for Cardinal Profile. Click here to post the first comment. Cardinal showing a good looking profile. I am a retired Podiatrist who has enjoyed taking pictures for many years. I began taking pictures of surgeries while in my residency. I enjoy shooting landscapes, sunsets, animals, sporting events, and just about anything that catches my eye as interesting and different. 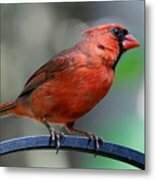 I rarely go anywhere without my camera and am always looking for unique images to capture, I hope you enjoy my photographs and I thank you for taking the time to view them.